Venting about so called "builders"
Re: Venting about so called "builders"
I bought some chassis parts from a young super late model driver who runs up front at the local paved 1/2 mile. Sounds sort of like most drivers in the higher echelons of round track racing. All they do is drive. They don't work on the engine. They don't set up the car. They "just drive". It could possibly be that it extends into the amateur ranks, as well. Maybe they have somebody that does it all. Or they hope does it all, anyway. That was the first thing I thought of, anyway. Seems to me Chevy enthusiasts aren't afraid to admit how little they know, which is refreshing as compared to the reverse. It will get sorted out,lol. just amazes me something as simple as plug reach is not verified and makes ya wonder if the head gasket leaks, the plug reach is wrong what else was missed or not done correctly? At this point I'm willing to bet the cam wasn't degreed and god knows what else wasn't checked. 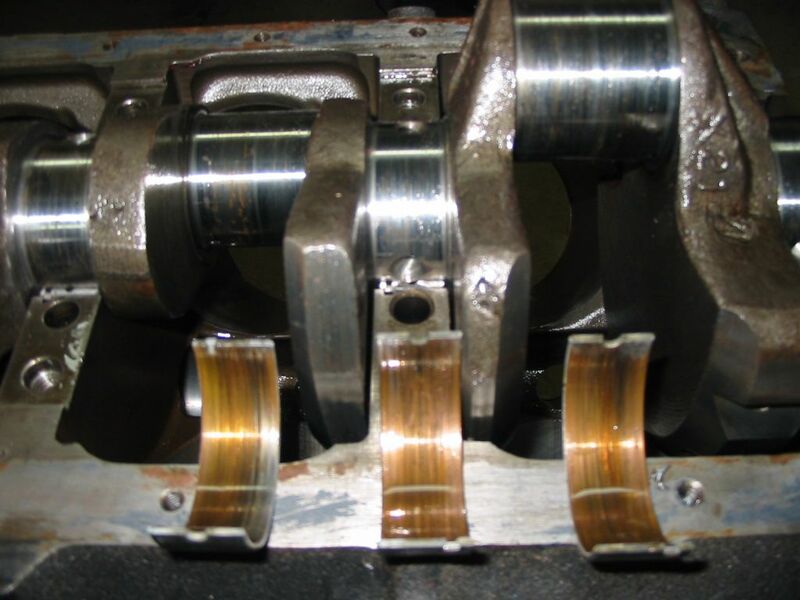 Seems like there are less and less truly competent machine shops and engine builders out there these days, now that the "crate engine" mentality has taken hold. I am so glad I was able to find an excellent local source through this forum when I needed a block machined a few years ago vs rolling the dice with other local shops. Speedtalk member k-star did great work, and treated me fair. I'm not a builder just a shade tree mechanic but when I needed my motor rebuilt for my street only toy I went to the nearby speed shop that builds motors for the local track. 500 miles later the beads from shot blasting the block go through the rod bearings, score the cylinder walls and the rebuilt motor is toast. The next motor I said not again and searched this forum for someone better. Three states away I knocked on his door one night. He let me in and took the time to explain my options none of which included cutting corners. He also explained his reasoning for the recommendations not just telling me I needed it. Being a structural engineer I appreciated his explanations and could see their validity. That philosophy for building motors impressed me enough to start writing checks on the spots. The finished motor was everything I wanted and still runs great. 500 miles later the beads from shot blasting the block go through the rod bearings, score the cylinder walls and the rebuilt motor is toast. And they wouldnt stand behind it ??? To be honest I was so mad I never even went back to them but found someone new. This is the best one I have seen, Had a guy call a couple of years ago and said he wanted me to go through his circle engine and up date to Vortec heads, Told me the engine had a 1400.00 Callies Crank and all ARP Hardware ETC. This engine has got all kinds of power BLA BLA BLA. While taking engine out of the truck I noticed it had a GM crank flange. Before you leave I am going to take this apart while your here. Got the heads off and 6 out of 8 pistons were in backwards Bearing down to copper, No ARP fasteners, GM 1182 crank .020/020 . I said load everything up we are starting from scratch.The new engine after 2 years now still trying to hook it up. The pistons have new eye brows and this ran for 2 years like that. 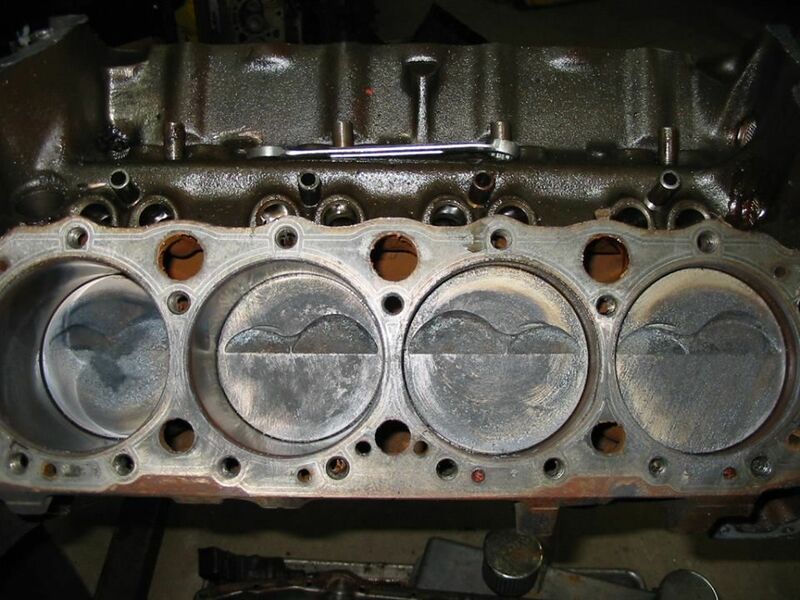 Looks like those intake valves were trying to make their own reliefs in the pistons. I can only imagine how well the valves were sealing! Engine builders are like race car drivers, their talents and ability varies immensely. Also, like drivers most have warped sense of where they actually stack up. Time for another reference to the Dunning-Kruger Effect? Always ... especially with engine building. They are totally unaware of the things they don't know. Good call on taking it apart before he left, wow. The sad fact is the guy thought his junk ran good! I've seen it all my life. Doesn't matter if it is dirt bikes at cars or guns...some people just don't know when something isn't right, or they don't want to know. Ignorance is bliss. The machine shop had said that it was ready for assembly..